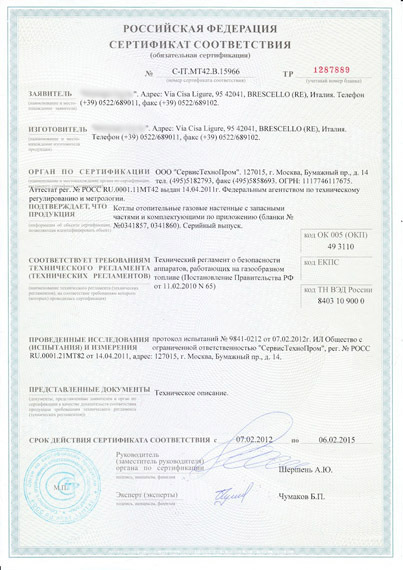 For exported goods, these Certificates are necessary among custom documentation on Russian Customs. Most of the imported goods pass through customs by means of single delivery certificates which are obtained after arrival of the subject delivery. If the manufacturer has certificates for 3 years-serial production,there is no need repeately obtain any certificate, an approved copy of these certificate is enough to realize this mission. For the domestic market, all the wholesalers and retailers are obliged to submit these certificates when they are asked by their clients and governmental inspectors. This is an another reason the necessity to have these certificates for commercial bodies. Even there is no right advertising for some goods if they have no certificates. For any ordinary consumer in the Russian market, certified goods are more reliable than the others. To increase the sales depend on certified products directly. Contacting us, you can learn necessity of GOST Certification for your products. To get the full list of products which are subject to mandatory Certification, please contact with us. For construction business and industrial factories, any installation are subject of certification to get licenses for use this application. Because of these main reasons, all over the world, the manufacturer-exporters to the Russia should obtain these certificates. A sample of GOST-R for 3 years serial production. Please click on the picture for detailed view. The certification is very helpful to compete with reproducted goods that comes to the market from abroad. The products which are not certified, after arrival to the Russian Customs are subject to the certification. Mostly Russian customers solve this problem during the custom clearance of the delivery, but if this repeats frequently, certification for serial production becomes a necessity. Among Russian Wholesalers, non-certified products are not "adapted" to the Russian Markets. The authorizition of Certification is applied by "The Federal Agency on Technical Regulating and Metrology" and other accredited specialized Certification Bodies and accredited Test Laboratories. << Gost logo can be seen here. 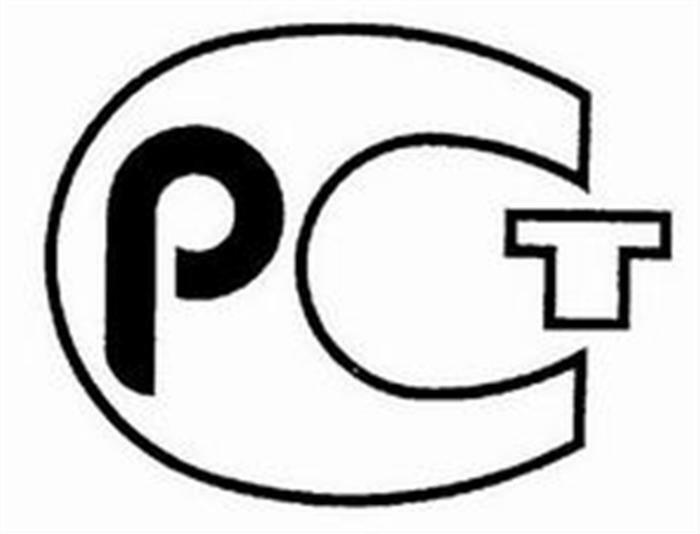 This Mark should be used on the products and packages with the Certification Body registration number under the logo. 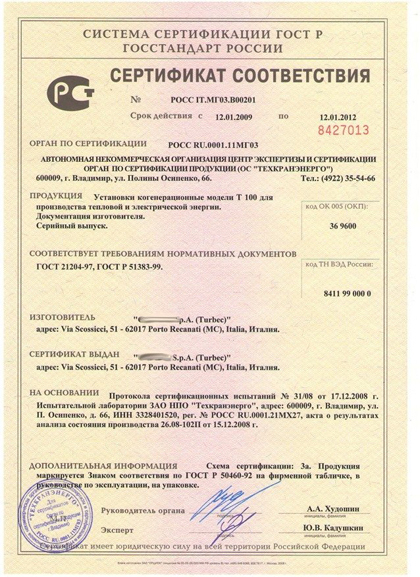 In this case, there is an importer Russian Company applies for certification for an individual delivery. This certificate given to the importer according to the Contract and Invoice, for the goods of this delivery. For a different delivery or a different buyer, this type of certificate is not valid. Sample tests sometimes necessary. In this case, there is no need any Russian importer, certificates are given directly to the manufacturer for 1 year period. The products which are written on the certificate, can be delivered to Russia directly on this period. Sample tests might be necessary. According to the Russian Legislation, for 3 years Serial production Certificates, Annual Inspection for production should be made by Accredited Certification Body every year. The Countries that accept GOST R Certificates: Georgia, Adzerbaijan, Moldavia. These certificates are given by the Certification Organs which is accredited by "The Federal Agency on Technical Regulating and Metrology". 1. Contact Us with data on your products we will answer you as soon as possible. 2. Your commercial requirements and subject products will be evaluated and you will receive a detailed quotation including all terms, price and process steps related for your GOST Certification. We shall submit our quotation within 48 Hours by mail. 3. For 1 year serial production or shipment Certification, without factory visit, GOST Certificates will be obtained by means of sample testing and/or existing documents and test reports. For 3 years serial production certificates, Russian Auditors (Experts) will come and inspect to your production system. ( In some cases it is not necessary ) This inspection will be executed according to the "Procedure of Production Analyses". There is an "Act" will be written and signed by the parties after this inspection. For the most of the products, some samples will be sent to the Moscow for the necessary test according to the Russian norms. These tests will be done sometimes hygienic, for fire-fighting aspects, or some quality aspects. In all normative documents the necessary methodics for tests and their kinds are defined. 4. Your original GOST Certificates will be sent to your postal address by fast courier. 1.Mandatory Certificates : These kind of certificates are asked with Customs Clearance documentation. 3.Voluntary Certificates : These kind of certificates are asked mostly in domestic market. 3 or 5 years with company certification. 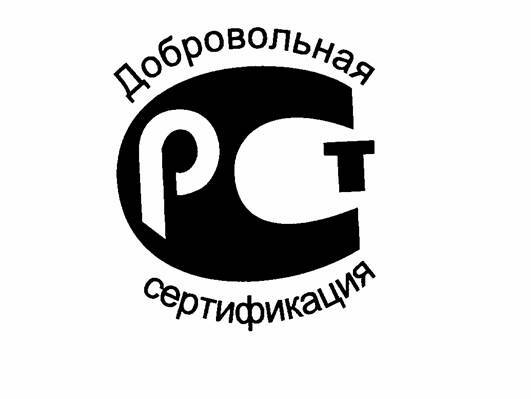 It might be called as traditional Russian certification mark. There are 3 kinds of this mark and 3 cases when you must use this mark for labeling your goods or equipment. First of all, you must obligatory label by this mark every item of your product which was certified in GOST R system and an obligatory GOST R certificate was issued for this product. In this case ID code of certification body must be pointed under the mark. If you equipment or goods were obligatory declared in GOST R system, such equipment or goods must be marked by GOST R certification mark without certification body ID under the mark. 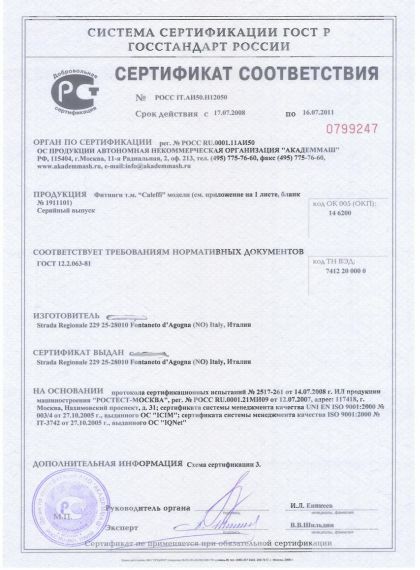 If your equipment or goods were voluntary certified in GOST R system and Voluntary GOST R certificate was issued in this case you must use certification mark with sign ДОБРОВОЛЬНАЯ СЕРТИФИКАЦИЯ. 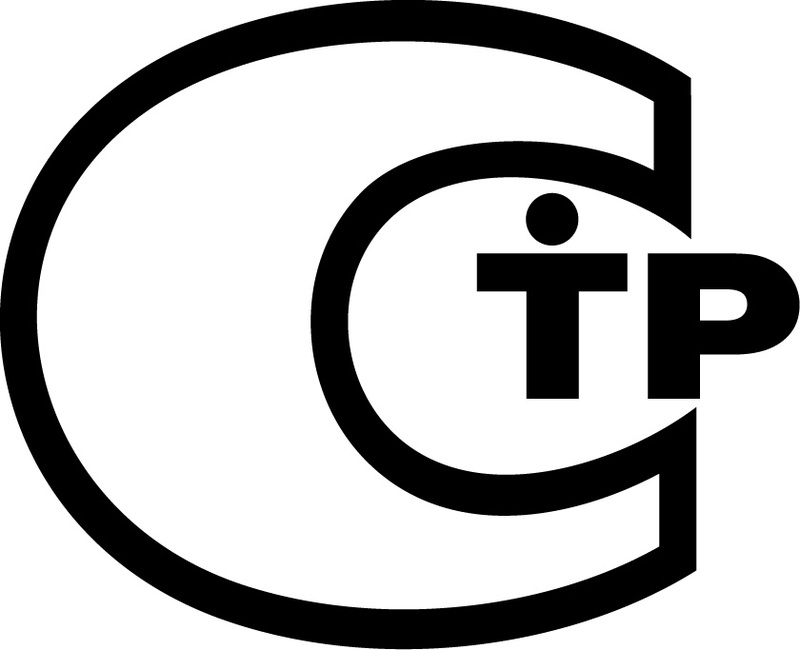 In special cases when you have an industrial equipment or machines which were certified or declared in accordance with safety requirements of special or common technical reglaments (TR), you must label your equipment with TR mark. There is no difference between obligatory, voluntary and declaration TR marks. Note: Please check news page for updated info.